Sydney - Pakistan's Aleem Dar and South Africa's Marais Erasmus will umpire the first Ashes Test between Australia and England, which begins in Brisbane on Thursday, November 23. Dar will also officiate in the second Test in Adelaide, along with New Zealand's Chris Gaffaney, while Erasmus with team up with Gaffaney for the third Test in Perth. Sri Lanka's Kumar Dharmasena will umpire the last two Tests of the five match series, joining India's Sundaram Ravi for the fourth Test in Melbourne with Joel Wilson of the West Indies for the fifth in Sydney. West Indian Richie Richardson was appointed match referee for the first three Tests while Sri Lanka's Ranjan Madugalle was given the job for the last two matches. Erasmus won the David Shepherd Trophy for the 'ICC Umpire of the Year' at the ICC Awards last year. 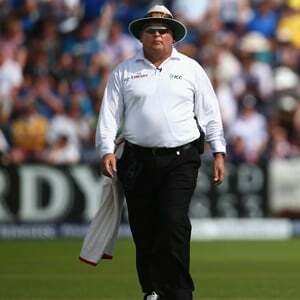 Meanwhile, three-time ICC Umpire of the Year, Dar was at the centre of a hotly disputed decision during the 2013 Ashes series which remains a source of animosity between the Australian and England teams. Dar ruled that the England batsman Stuart Broad was not out after the Australians appealed for caught behind in a decisive moment in the fourth Test at Nottingham. England went on to win the match and clinch the Ashes, but the Australians were furious that Broad was given not out and stood his ground.